Yesterday evening, on our way back from Recruits Con, I stopped off at TableTop Game & Hobby in Overland Park, KS. There's a hot wire foam cutter there I've been looking at for quite awhile. But I have not yet been able to bring myself to forking over the bucks for it. For all those that don't know (and that's most of you, heh), I am designing a game similar to Campaign to Stalingrad in scope, but using a modified version of Nathan's Iron Tide (Op Typhoon/VitW) system. I'm having a playtest and game day at my house as our normal meet has pretty much fragmented with no place to go. I will be opening a folder on CSW soon for discussion as things progress. Well, I replayed Cortes with the Aztecs using the "Northern smash" plan which involves massing most of the Aztec knight units against the Northern Spanish force and true to expectations, the Spanish got severely mauled before the Spanish fleet could make it over to the that side of the lake and provide fire support. But it was a close-run thing. Beware of "Army of Two"
Easter holidays - this means 4 days of gaming and relaxing! Marc Guenette and I reached the end of turn 10 last night, and we'll be calling the game here as a Soviet victory. 3 VPs already in the bag - 2 for the Luftwaffe and support units (Grossgewitter "lite"), 1 for 50+ steps. This last weekend, I dug deep in the Cave of Unplayed Games and pulled out Cortes. This gem was orignally published in 1993 in Command Magazine, Issue No. 20 and it offers an interesting game of a topic that nobody (to my knowledge) had touched before. I have been reluctant to post about this until I had some solid game design work completed for this project, but since I have no idea how long that will take, I figured I would at least throw this teaser out there. Where to start a blog post on my activities? How about what I'm doing (or supposed to be doing) right now and see where it goes. 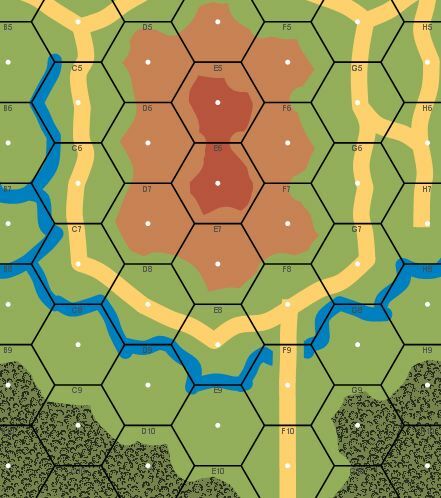 what terrain is needed in a space map ? Well...finally I pulled it off. My first win in a long time against my son. My son normally has an exceptional luck with both cards and dices in this game but this time it went my way, eventhough it was close. I play Memoir alot with my son and we have great fun. I do remove some of the "grey"cards wich have to much english text since he cant read english yet. But he knows the function of most "grey" cards.